We've redesigned and upgraded our website to make it compatible with mobile devices and tablets. Now you can find what you need faster and easier. MasterCard™ for life's everyday purchases. With no annual fee, no hidden fees, a low interest rate and worldwide acceptance, MasterCard™ is here. Put low rates in high gear with an EFCU auto loan. With affordable terms and flexible payments, we can help put you behind the wheel. E-Statements are faster and more secure than receiving paper statements. 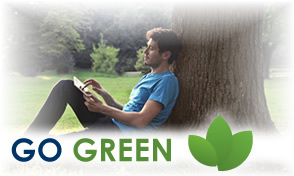 Save paper and go green with E-Statements today! hide this If you are using a screen reader to access this website and having difficulties, please contact us at 760-839-4606. There is no charge for this service! Members enrolled in FlexTeller Online Banking already experience the convenience of viewing account information online. Now, an additional convenient, secure method is available to receive periodic statements! Have domestic or foreign travel plans and need to use your EFCU Credit Card and/or Debit Card? MasterCard and CO-OP Fraud Services must be notified of your out-of-town plans when monitoring for fraud. Contact the Credit Union at least one week prior to departure to inform us of your travel dates and major city destinations to ensure uninterrupted access to your funds. Apply for a loan or make changes to your account. *PDF documents require the Adobe Reader plugin for your Internet browser. 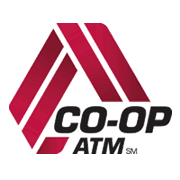 Through our partnership with the CO-OP ATM Network you can use nearly 30,000 ATM locations nationwide — and save money, because they're all surcharge free. That adds up to convenience and savings. Sign up for E-Statements and receive your account statements electronically. Save paper, save time, save money! Join us on Facebook and keep informed and up to date with Escondido Federal Credit Union news. Oh, and don't be shy! We encourage you to leave us a comment or message once in a while!